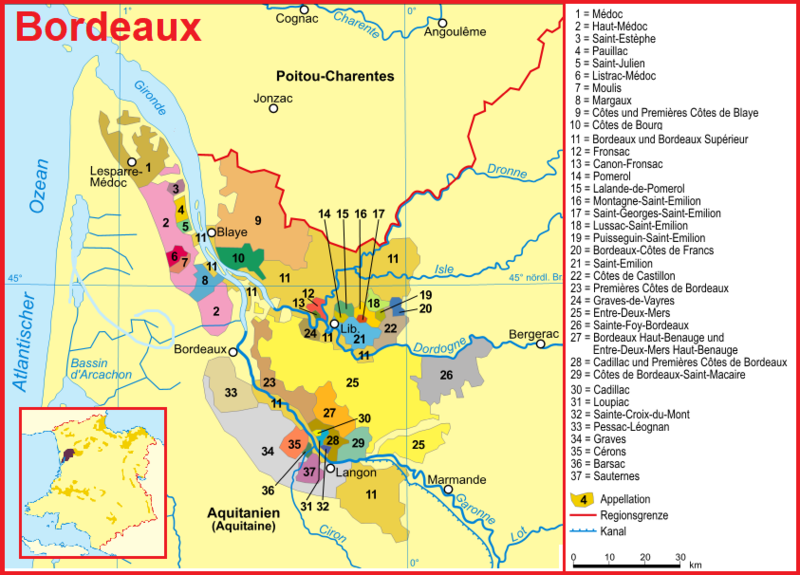 The municipal appellation is the northern part of the area Graves ( Bordeaux ) and is named after the two main places. It covers 1,300 hectares of vineyards in the municipalities Cadaujac, Canéjan, Gradignan, Léognan, Martillac, Mérignac, Pessac, Saint-Médard-d'Eyrans, Talence and Villeneuve-d'Ornon. Prior to the classification as a separate appellation in 1987, to which André Lurton tried successfully, the area was called Haut-Graves . Around the city Pessac was in the Middle Ages the clairet produced.